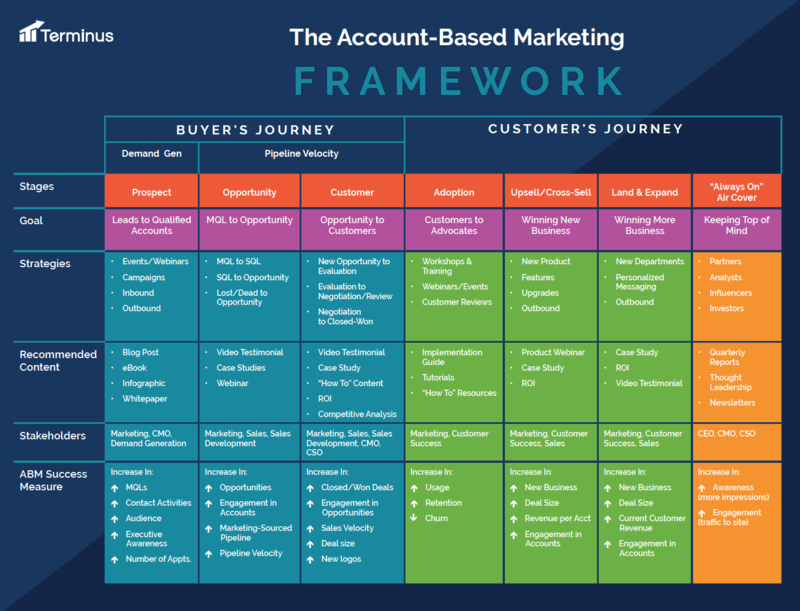 How do you know two B2B marketers are talking about account-based marketing? All jokes aside, get ready for account-based marketing to explode. More and more marketers are considering abandoning lead-based marketing tactics to focus on account-based marketing. After all, sales teams don’t celebrate when they win a lead; they celebrate when they close accounts. This was the mantra at the Flip My Funnel roadshow event in Boston last Thursday. No, it wasn’t a rolling happy hour with stops in Atlanta and Chicago. Flip My Funnel was a half day event organized by Sangram Vajre of Terminus. He brought together a couple hundred B2B marketers to hear from himself, Jon Miller of Engagio, Megan Heuer ofSiriusDecisions, Jim Williams of Influitive, Alex Turner of Wrike, and Brad Rosen of G2 Crowd all talk about ABM. Here’s my recap of a few sessions. The Flip My Funnel event and movement is all about changing the way marketers think about marketing their companies. Sangram Vajre pushed the audience to view ABM as the purple cow of B2B sales and marketing. Marketers should no longer focus on passing over leads and instead focus on identifying the best-fit companies, expanding to the right people in the right roles, engaging with the right content and channels and turning customers into advocates and fans. This may sound very different from the traditional demand gen funnel centered around awareness, interest, consideration and purchase. Companies are using ABM for three main use cases, according to Sangram. Demand generation, account velocity and up-sell/cross-sell opportunities. He introduced a simple but comprehensive framework to help explain how ABM can fuel your company’s growth. Have a look below, courtesy of Terminus. Megan Heuer’s talk was all about how ABM is a shift in where B2B marketing is going. She asked everyone in the crowd to repeat the following, “I will stop using the stat that 70% of the buyer’s journey is completed by the time a sales rep is engaged.” New research from SiriusDecisions indicates that B2B buyers say a sales rep from their winning vendor is involved from the start 49-67% of the time. What’s more, marketing is involved the whole time with a combination of human and online interactions. Jon Miller of Engagio closed the day with a talk about how marketers should be thinking about measuring the success of ABM. Instead of focusing on quantity, we should move to focusing on quality. Coverage – Are you building a database with the right contacts? Awareness – Are your target accounts aware of your company and its solutions? Engagement – Are the right people at the account spending time with your company? Impact – Are your programs reaching the right accounts? Influence – How are your ABM activities affecting or improving your sales outcomes such as velocity, win rates, ACVs, retention, Net Promoter Scores, etc.? Read his Slideshare for more details on the metrics and how to measure them.